Vektor, a team that builds autonomous spatial mapping robot, was announced as the winner of Hood Disrupt, an event that is said to be the first hackathon that focusses on property tech in Southeast Asia. Organised by Singapore-based property tech startup igloohome and coworking space District 6 at Odeon Towers on August 4-6, the event awarded Vektor with a S$5,000 (US$3,600) cash prize. The team built a spatial mapping robot that together with the use of VR, allows stakeholders in the architecture, engineering and construction industries to monitor building and renovation works and identify issues in real time off-site. This allows any construction or renovation defects to be picked up early, and for corrective action to be taken quickly, thus saving stakeholders time and money. 1. Airsquire, which focussed on the use of sensor drones to detect fires on rural properties, won the The JLL innovative Prop Tech Award of S$1,000 (US$734). 2. Surreal, which built a plug-in allowing homeowners to visualise their floor plans in 3D, won a one-year worth of coworking space package at District 6. 3. Trabble, which created a chatbot with machine learning for the hospitality industry, was presented with igloohome’s global choice award of entry tickets to the Urban Tech Summit in Florida. The teams were judged based on innovation, opportunity in terms of market size, defensibility against new competitors, implementation, team work and presentation by a panel of judges that included management from JLL, C31 Ventures, CDL, Capgemini, REAPRA and igloohome. Sponsored by JLL, with supporting partners that included AWS, Malaysian Proptech Association, DreamIt Ventures and Wavemaker Partners, Hood Disrupt drew in 17 participating teams from Singapore and other countries such as Thailand, Malaysia, South Korea, and even Poland. igloohome CEO Anthony Chow said representatives from Malaysia, Thailand, and Hong Kong have approached the company to express interests in hosting similar event in their home countries. “… We definitely look forward to building connections within the region,” he said. 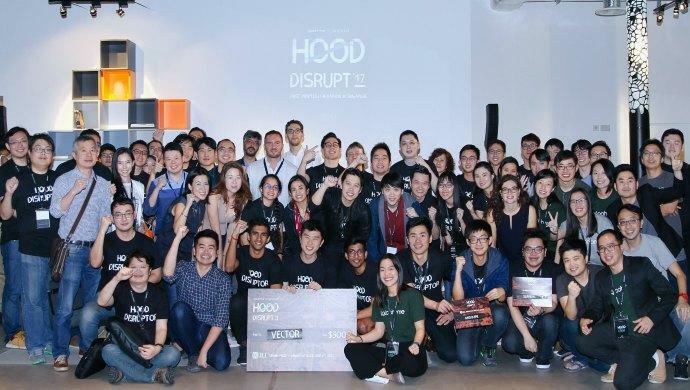 The post Meet the winners of Hood Disrupt, first property tech hackathon in SEA appeared first on e27.